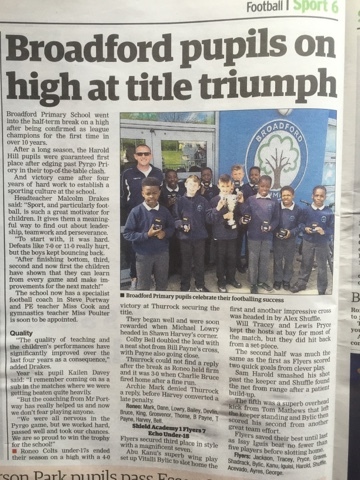 Congratulations to our football team and Mr Portway who are featured in the Romford Recorder this week. A great story about the boys' journey to the summit of the football league! 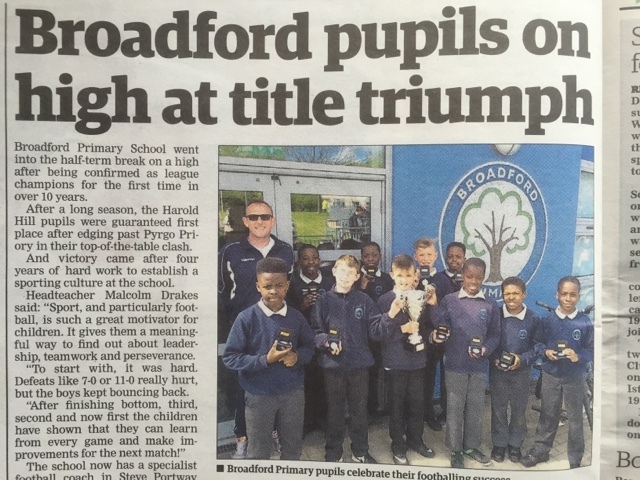 After a long gruelling football season, Broadford Primary have been confirmed as the Harold Hill League champions for the first time in over 10 years! The league was very tight, with the result not decided until a final top of the table clash between Pyrgo Priory and Broadford. With Broadford managing to edge that game, no one else was able to deny them the trophy. This season is the culmination of four years reestablishing a sporting culture at the school. For a long time Broadford didn't have a football team. In 2011, once Mr Drakes was appointed as Headteacher, it was one of the first things to be bought back. Mr Portway was also appointed as coach. 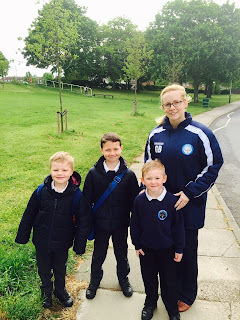 "Sport, and particularly football, is such a great motivator for children. 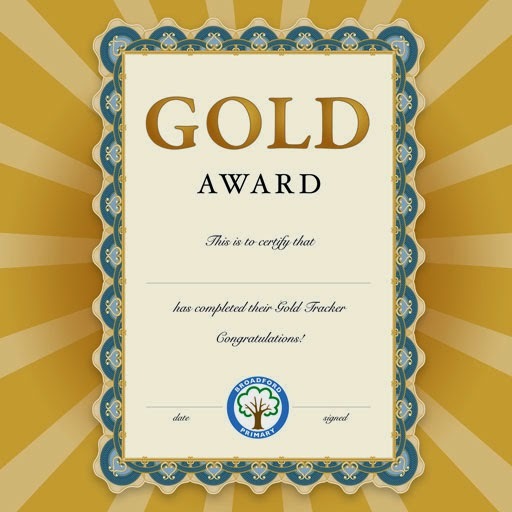 It gives them a meaningful way to find out about leadership, teamwork and perseverance. To start with it was hard. Defeats as like 7-0 or 11-0 really hurt... but the boys kept bouncing back. 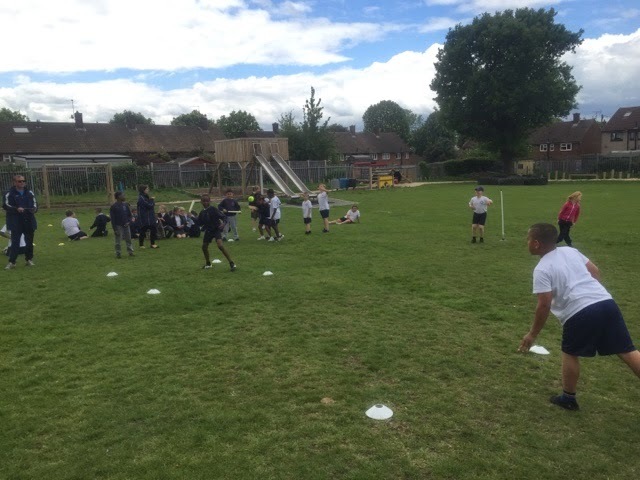 After finishing bottom, third second and now first the children have shown that they can learn from every game and make improvements for the next match!" "I remember coming on as a sub in the matches where we were getting beaten quite heavily. However the coaching from Mr Portway has really helped us and now we don't fear playing anyone. We were all nervous in the Pyrgo game, but we worked hard, passed well and took our chances. 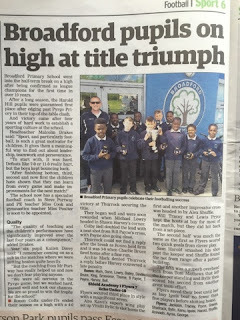 We are so proud to win the trophy for the school!" 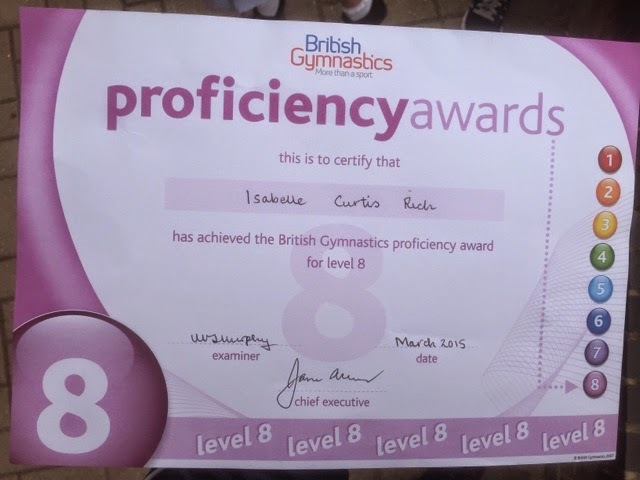 At Broadford there is now a specialist PE teacher (Miss Cook), a sports coach (Mr Portway) and a soon to appointed gymnastics teacher (Miss Poulter). As a consequence the quality of teaching and the children's performances have significantly improved over the last four years. On Monday 1st June the Nursery will be open to new parents for September 2015 between 9.30-10.30am. On Tuesday our Y5&6 pupils have a Music Festival rehearsal. In the afternoon we are hosting a Count On Us maths competition for Year 4&5 pupils from around the Harold Hill Cluster. 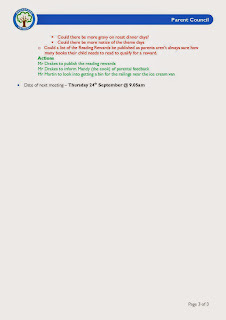 In the evening we have the welcome meeting for new Nursery parents which starts at 6pm. Wednesday sees us welcoming Drapers Academy, who are in to talk to the Year 6 pupils about their imminent transition. 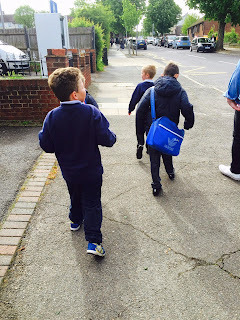 Later that day the Year 6 pupils have their TfL Safety talk – all about using public transport safely. On Thursday we are sending some More Able pupils to St Ursula’s Juniors for a debating event. 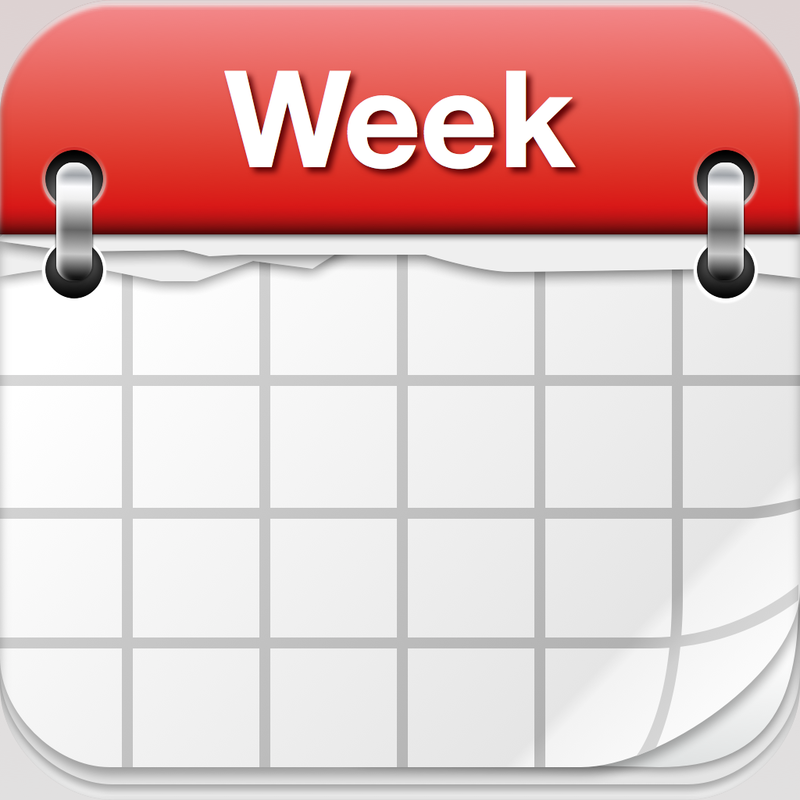 Clubs will be running as normal this week – apart from on Monday 1st when we are closed. This week Pine Class will be presenting the work that they have been doing over the last term. We look forward to welcoming parents, friends and relatives to their assembly. Due to the building work which is scheduled for this summer, we will be closing the school on Friday 17th July. Please also be aware that clubs will finish on Friday 3rd July. Have you ever woken up at 3am with a great idea? Daniel often gets creative thoughts and doesn't want to loose track of them, so he keeps an ideas book underneath his bed. Whenever inspiration strikes he is ready to note it down before the moment passes. I sometimes think up ideas for characters in my computer games. If I write and draw them down quickly, I can go back later and make them better. This one is a monster eating lizard. 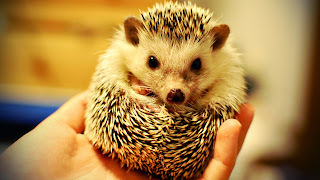 When I first thought of it I hadn't included the spiky hands. You are very well organised Daniel and we look forward to hearing more of your ideas. 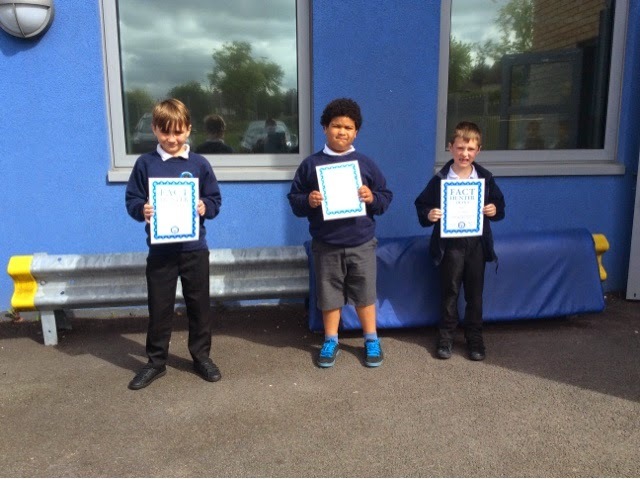 Connor, Austin, Tony and Taylor have all been working hard to reach their writing targets. 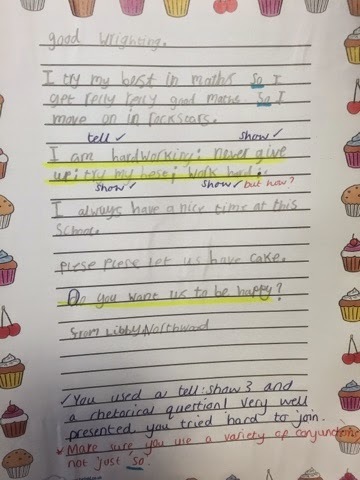 Every week in Big Write they have been making a real effort to improve using their next step marking. I have tried to make sure I read the marking carefully and do my best to put that into my next piece of work. 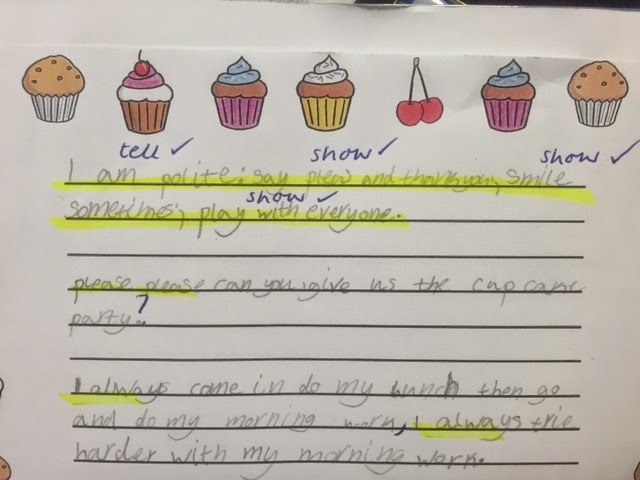 I know that I have to try and use adjectives to make my writing more interesting. Well done boys for the effort you are making every week to improve! 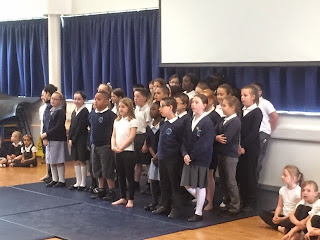 Look at the video below to enjoy a repeat of the choir's latest performance at the end of half term Sharing Assembly. 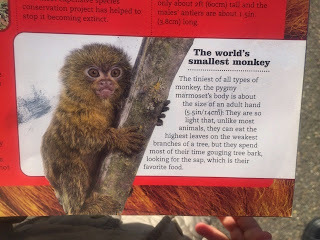 Did you know that the world's smallest monkey is just the size of an adult hand? 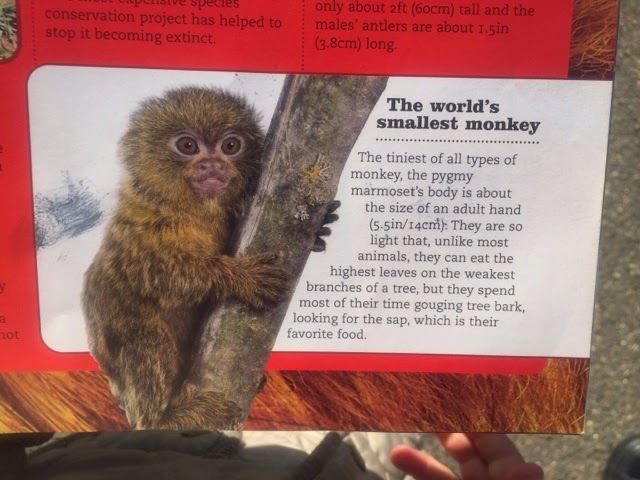 Because it is so small it is able to climb on the weakest branches and enjoy leaves that are out of reach to most other climbers! 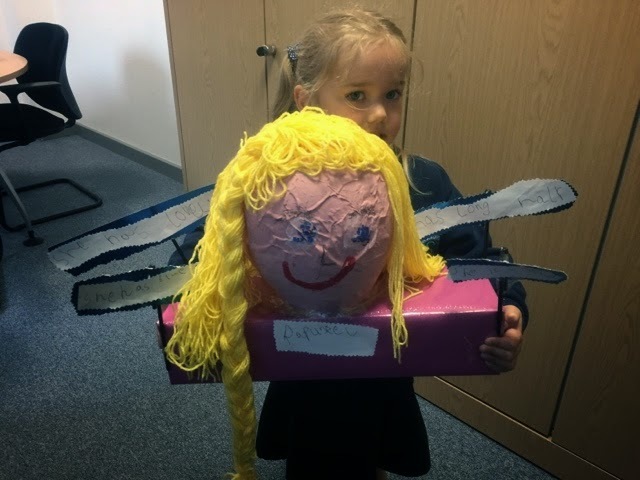 Indie impressed us all with this magnificent re-creation of Rapunzel. Inspired by the fairy tale, Indie made the model to show of the young girl's flowing golden hair - much like her own. Well done Indie... a great project! 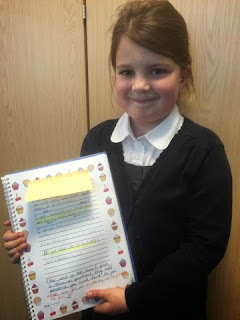 Well done for extending your learning at home. Isabelle was very keen to show us her certificate recently, which she was awarded for her gymnastics skills! 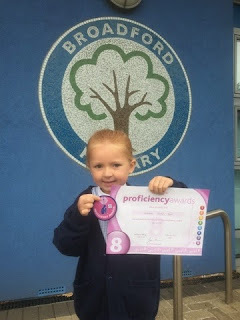 Every week she attends her club and has been working on forward rolls, hand stands, cart wheels and routines. Well done to Libby and Sky who have been working on their Tell:Show 3 sentences. They have made a big difference to their writing! I am hard working: I never give up, I do my best and I work hard! I am polite: I smile, play with everyone and say please. Well done girls, we certainly agree. 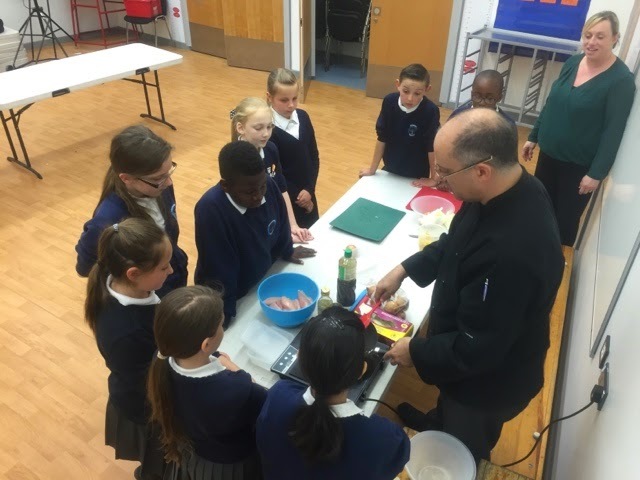 Chef Mark Borrell - from the Love Food Hate Waste campaign - has been giving Year 5 pupils at Broadford Primary top tips on how to create the perfect chicken chow mein. 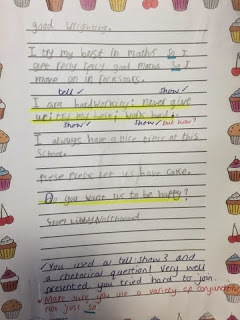 In Year 5 the pupils have been looking at how they can help themselves and their families live more healthily: exercise, sensible eating and healthy snacks. 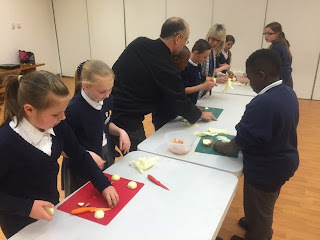 It was also a chance to further develop cookery skills which they have built up during the school's cookery workshops and family Learn To Cook days. To begin with the children watched a demonstration so that they knew what to do with the ingredients. After that the pupils peeled, chopped and sliced their ingredients. "I didn't realise that you could make a dish like this so quickly and cheaply. My family would love this - we normally order chow mein from the take away. Now I can make it myself." 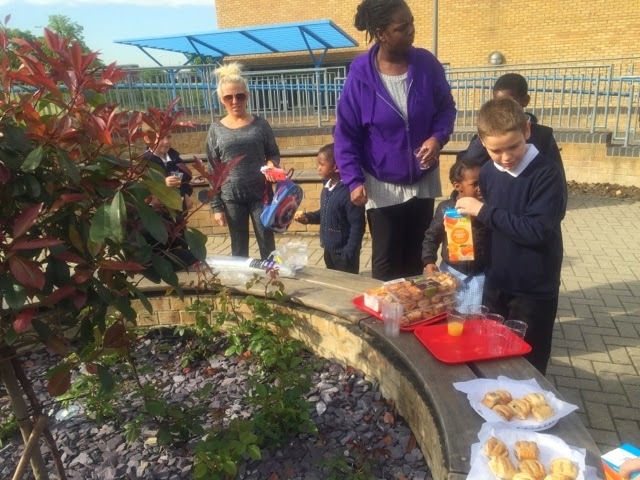 This year the children have been given their own growing beds to grow vegetables to use in their cooking activities. "We have seen a much greater interest in healthy eating over the last couple of years. Holding these cookery workshops, providing the growing beds and allowing pupils to cook with their families in school have all helped to make cooking much more appealing. The chow mein experience is always the most popular one! Every one comes into the hall to ask for a portion once the aroma starts wafting down the corridor!" 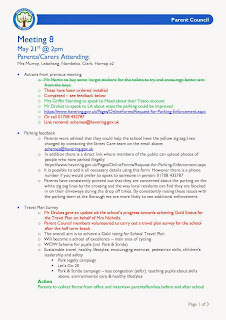 Thank you for coming along to the 8th Parent Council meeting. We had a broad representation from across the school - but there is always space for more! 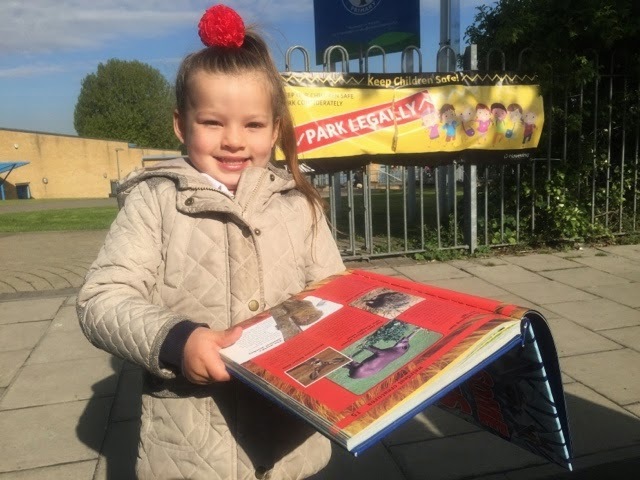 It doesn't matter if you come to one meeting or all of them, it is just great to hear your ideas and thoughts about the school so that we can continue to work together to improve it for your children. 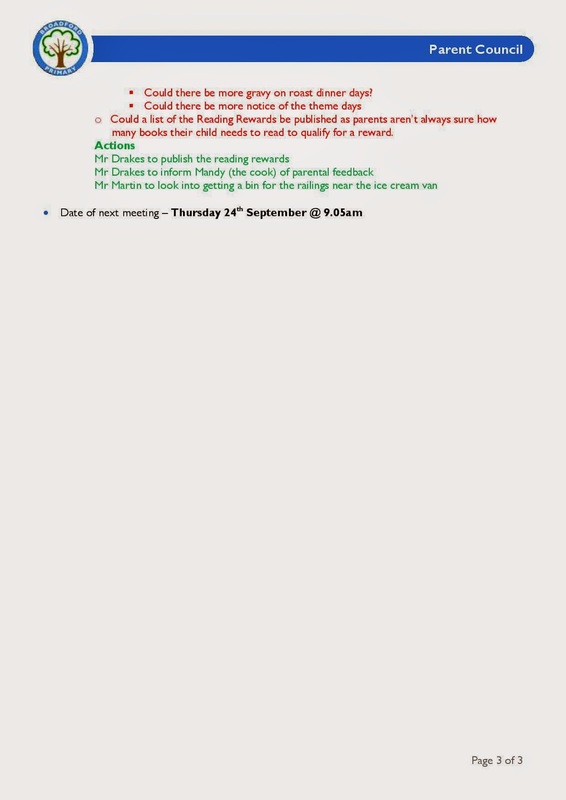 If you can spare the time to come in and conduct some reading habit surveys with the pupils we would be very grateful. This will help us to ensure that we are doing all we can to promote a love of reading: please let the office know if you can spare half an hour to conduct some of these. 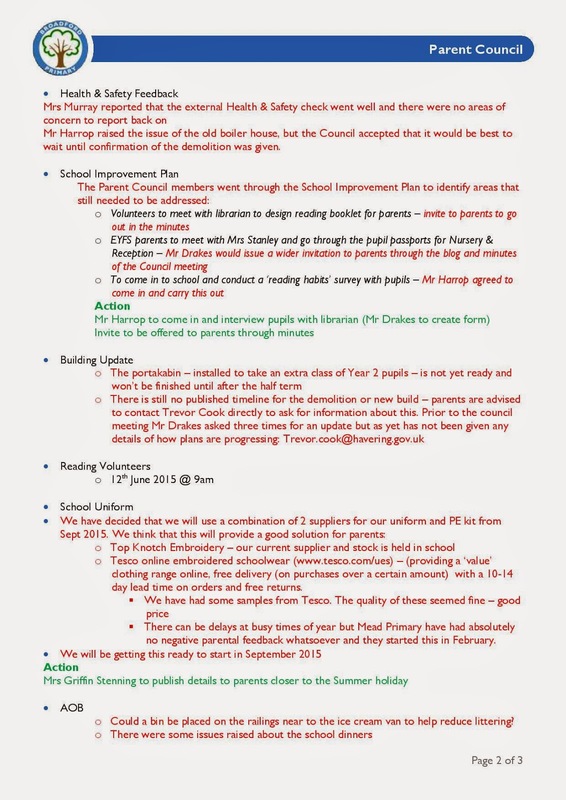 It has been so positive this year to have parents involved more directly with the School Improvement Plan. The Council has been a very useful way of communicating developments and getting your perspective on issues. We look forward to continuing this in 2015-16. 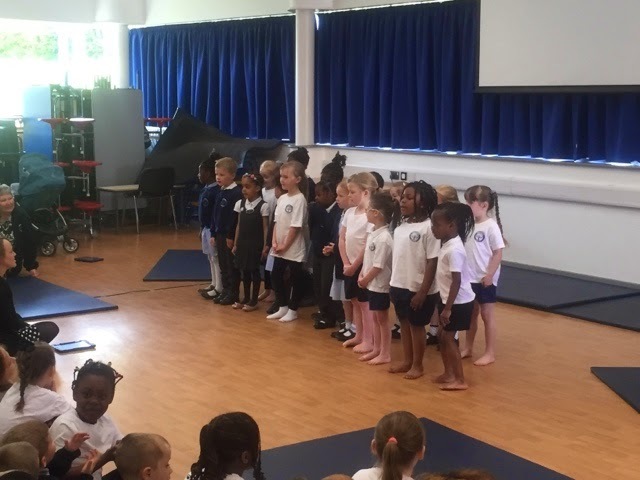 The Cheerleading Club put on an impromptu performance last week as they readied themselves for the Pyrgo Cheer Festival. Desperate to have one last chance to hone their moves, the girls asked if they could be squeezed onto the programme. Of course we said YES! Their performance was amazing: smoke machine, pumping music and energetic choreography. It was a show that everyone enjoyed! We are extremely proud of our Quiz Club team who represented us in the regional qualifiers this year. 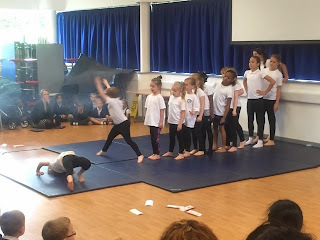 The children had to compete against 8 other schools. 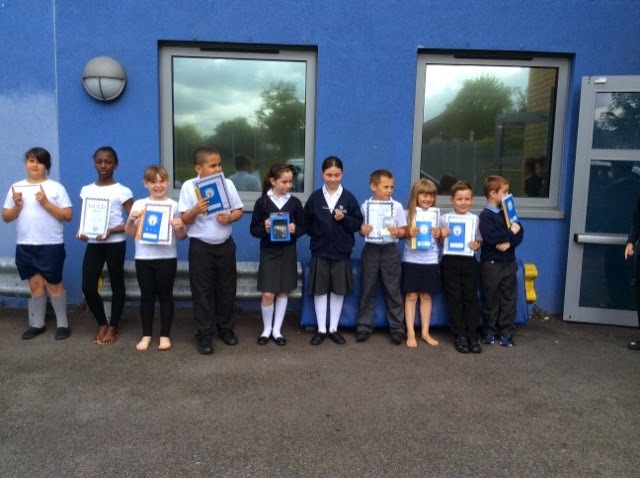 St Ursula's Junior hosted the event, which saw the children test their general knowledge skills. When we were asked a question, we had to work as a team to sort out the right answer. Lots of us had ideas, but we had to discuss them to see which was the most likely answer. I have been studying the oceans of the world and working out routes: which ocean would you cross on a journey from Southampton to New York. It has been tough to get all the information, but I practised regularly and my mum helped to test me. In order to be selected the children had to come top on the class competition. 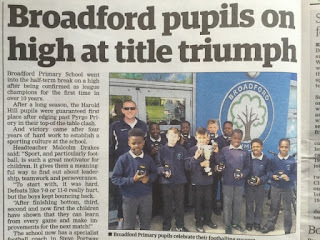 Our team scored one of the highest totals for a Broadford group... so very well done! Jessica has been making the most of the half term and exploring the Thames Chase Nature Reserve. 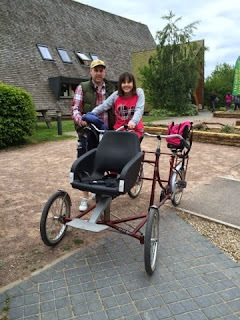 If you are able to visit you will find a great adventure trail, kids playground and a coffee shop. Bikes are available to hire so that you can explore all of the trails and pathways. Thanks for the top tip Jessica! Year 6 have smashed the attendance this week with a double 100%! 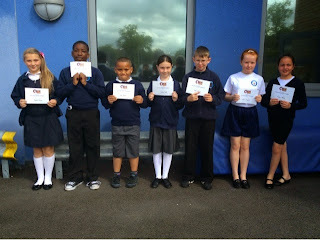 All of the children were present for every one of the KS2 SAT tests and we have high hopes for how they performed. 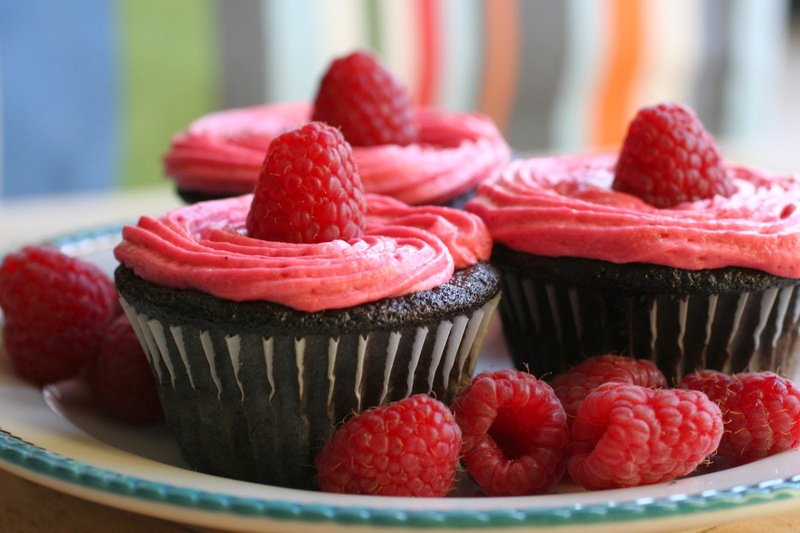 The cupcakes are very well deserved. It is always great to hear that former pupils have gone on to achieve great things at school. This week we had a great update about Robert Trew who has been nominated as a potential pupil of the year. Well done to you Robert, it is great to hear how you have overcome your challenges and inspired others. Katherine Barrett & Candice Chambers have earned their Silver pencil. Lucien Bundy has finished his Silver tracker. 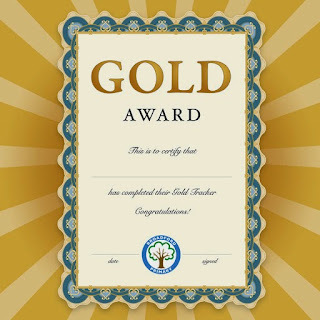 Kie Purse, Lily Reynolds & Elizabeth Ositelu have completed their Gold. 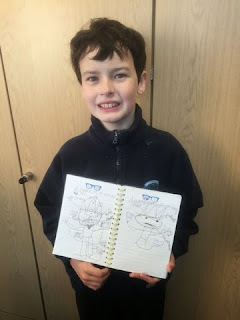 Connor Peppitt has picked up the Platinum pencil and pen set. Moving onto Diamond, Holly Maskell is now the proud owner of her calculator! Georgia Brooks & Holly Clark have collected their Prestige Silver pencil; while Ruby Burchell has now put the last sticker on her Prestige Bronze tracker, well done to all of you. The walking team challenge is over. Congratulations to all of the walkers who completed the challenge. It is now time to record your steps and hand your form back to the school office. Many thanks to all of the teams who have handed their forms back. 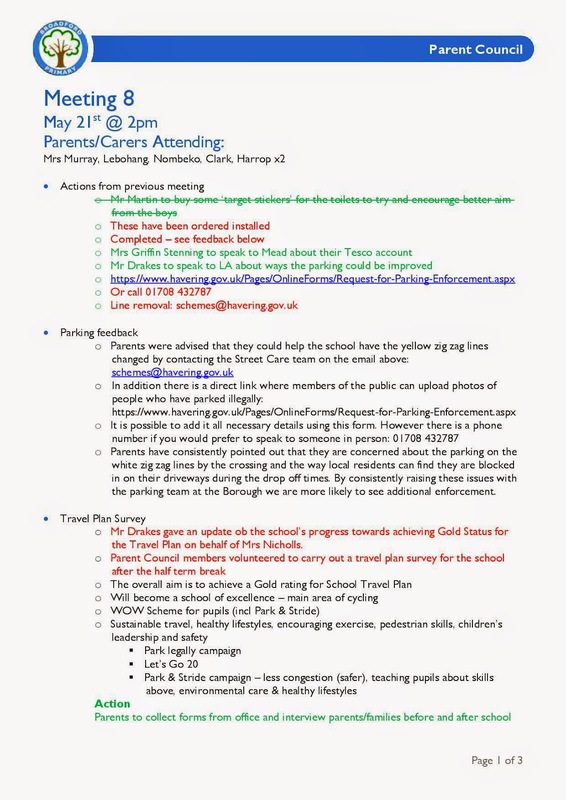 If you haven't yet, not a problem bring it into the office when we return to school on Tuesday 2nd June. Look out for the results which will be announced on Friday 5th June. Thank you to everyone who took part in the walking to school week activities. Keep on walking throughout the summer term! Jackie Ramalingam and Mason Camden have read enough books to collect their Bronze award for reading. 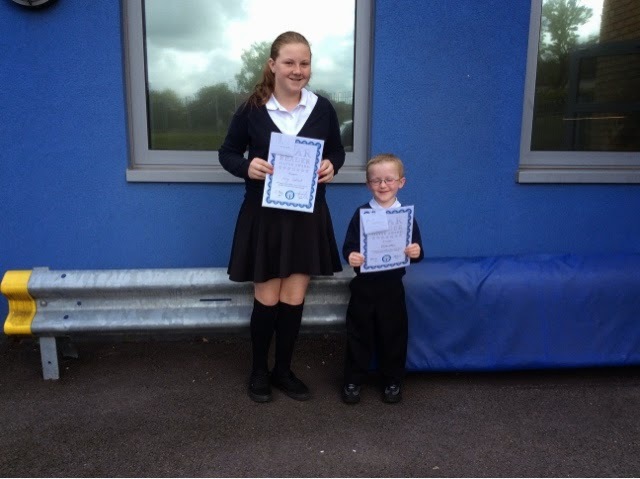 Lucy Lockhart & Elliot Cottam have earned their £5 voucher for completing 50 books! Emily Russell has now read 100 books and collects her trophy. 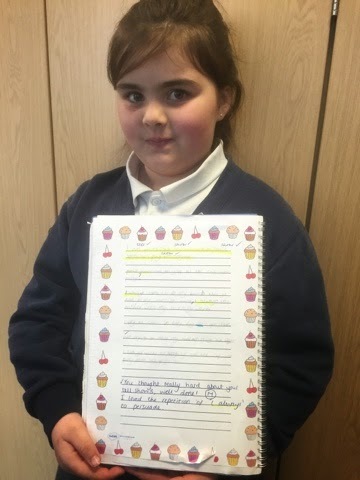 Well done to you for reading every night! Did you know that The Manor is rumored to be haunted? Apparently the White Lady of Harold Hill – used to roam around The Manor and the Manor House. In the UK Hedgehogs typically hibernate during the coldest winter months of November through to March when their natural food source is scarce. Their heart rate goes from a steady 90bpm to a 20bpm and the body temperature drops from 35c to 10c. Did you know that electromagnetic radiation is a form of radiant energy? Visible light is one type of electromagnetic radiation and many other familiar forms (like x-rays) are invisible. We celebrated the last day of walk to school week with a walkers breakfast. 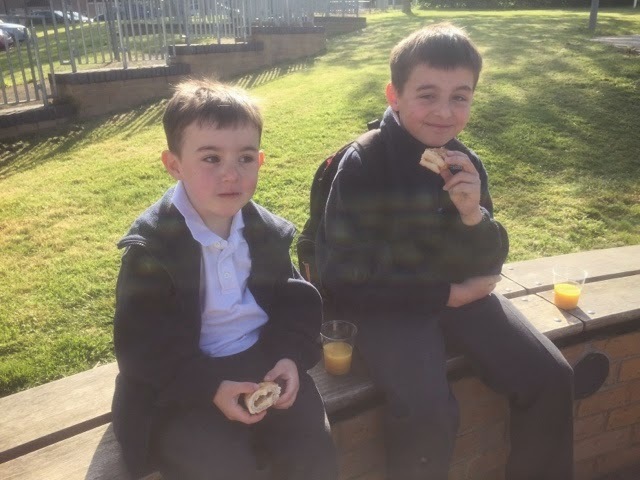 All the children who walked to school today arrived in a really positive mood, especially when the received their walkers breakfast. A cup of fresh juice and a delicious veggie roll set them up for a day full of learning! 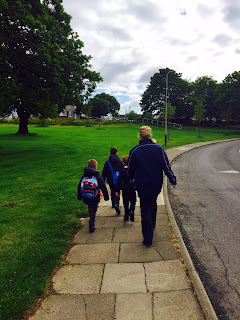 Congratulations to all of the children, parents and staff who walked to school this week. By travelling in a sustainable way you are making a contribution to less pollution and cleaner air for us and our planet. Children that walk to school arrive more alert and ready to start the day. 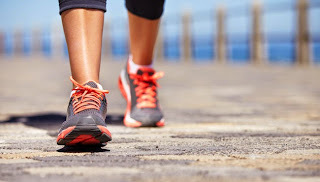 Walking can also have a positive effect on your mood. 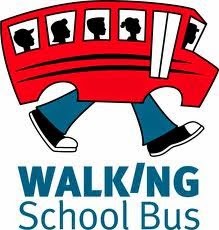 The children who arrived at school yesterday on the walking bus were definitely ready for a full day of learning after an enjoyable walk to school with their friends. 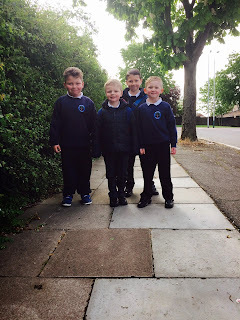 These boys were the first participants of Broadford's walking bus! Well done guys you should feel really proud of yourself! Yesterday saw the Inter House rounders competition. Each of the teams had selected the players earlier in the week, with a mixture of Year 3-6 members. Luckily the weather held out to allow the games to be completed. 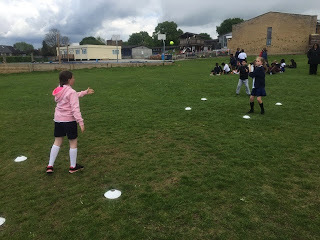 There was a great spirit of friendly competition between the children: shouting support, applauding the fielding heroics and marvelling at the big hitters. 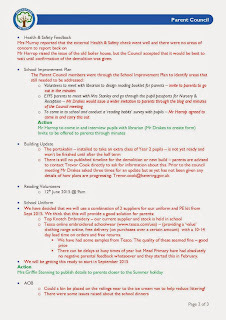 The final result will be announced in assembly, but you can look at some of the highlights in the video below. Thank you to Miss Cook, the House Captains and Mr Portway for organising the event. 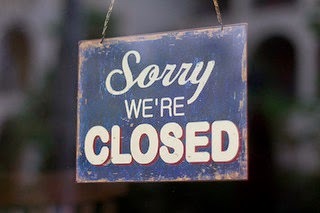 Please remember that we are closed tomorrow for INSET. In addition to this, next week is half term for the children. We will also be closed on Monday 1st June. Pupils are due back to school on Tuesday 2nd June.